Broadcast journalist Ted Failon looks into the alleged unpreparedness and inefficiency of the Office of Civil Defense (OCD) to respond to unexpected calamities, particularly during the Typhoon Yolanda crisis in Visayas this Saturday (December 7). 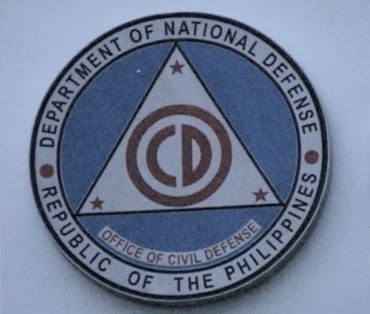 OCD, which is tasked to manage national civil defense and disaster risk reduction and management programs, has gained criticism from the public for purportedly not being visible and active in the relief operations. Ted also probes complaints on cargo or freight forwarding companies that are allegedly stealing balikbayan boxes instead of sending them to their proper destinations. Are the Bureau of Customs and Bureau of Internal Revenue already taking actions to minimize these incidents? Meanwhile, Ted also discusses the story of a teacher being bullied by his students and tackles the Republic Act 10627 or the Anti-Bullying Act of 2013, which seeks to reduce incidents of bullying in basic educational institutions. Does the law also apply to bullied teachers? Don’t miss the full report in “Failon Ngayon” this Saturday, 4:45 PM on ABS-CBN with a replay on ANC every Sunday, 2PM. Visit its Facebook page at www.facebook.com/failon.ngayon.fanpage and follow its Twitter account via @Failon_Ngayon. Tweet your thoughts and reaction this weekend using the hashtag #FN and #FailonNgayon.